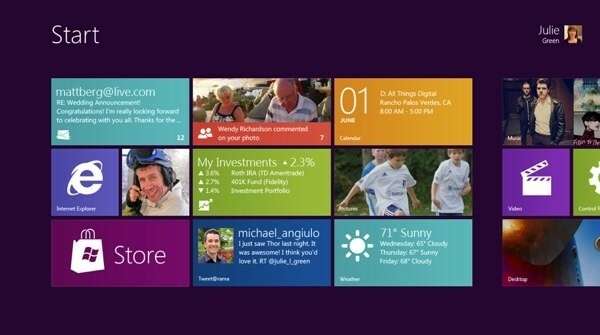 Tablet-News.net / News / Metro for Windows 8 Office: Will we see it? Metro for Windows 8 Office: Will we see it? QUESTION: Thank you. On Office, I know there’s a development effort for Office for ARM. The question is Metro interface for Office. How critical is it to Windows 8 adoption to have software that takes full advantage of Office with Metro? It’s now only been about 15 months since the last release of Office. If we’re, say, a year away, still kind of on the cusp, I’m not sure if you had to choose to add functionality to Office, or you say let’s just do a Metro infrastructure. If you can kind of share with us your thoughts, particularly as it pertains to the adoption rate of Windows 8. STEVE BALLMER: Yeah. No, we’re certainly — as I said in my remarks this morning, supporting our platforms and having our platform support innovation in our applications broadly remains super important to us. The brilliance of the Windows 8 strategy, though, is we get all of the applications that come from Windows on X86, as well as applications that have gone through the process of rethinking how they might work in a Windows 8 world. When we have something that we want to talk about, we will, but certainly you ought to expect that we are rethinking and working hard on what it would mean to do Office Metro style. From the first part of Ballmer’s answer you can see that he is not supporting bringing Office to Metro. From the second part we can gather that the team at Microsoft is weighing their options and are thinking about what Office Metro style would bring to devices that support Office. So we will just have to let them discuss Metro for Office and wait for future leaks on the subject.